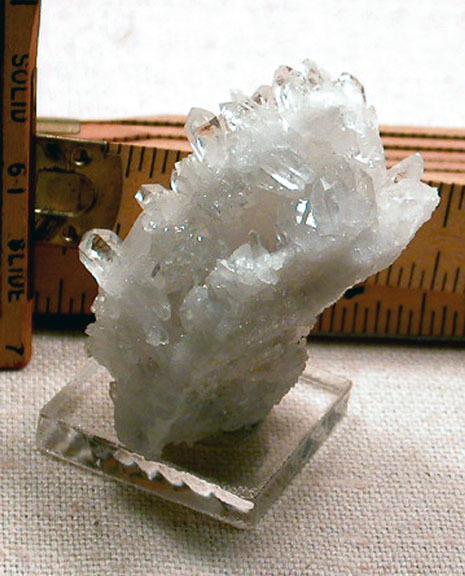 1 1/4x 1 1/2x 2" vibrant Arkansas quartz cluster of clear and bright little rock crystals - some doubly-terminated, some twins and rainbows - growing in several directions from a multi-layered glowing plate bottom. A floater cluster, no damage. Such a nice personal size.